If you are leaving the balmy palm trees of Los Angeles for the towering skyscrapers of New York City or any other destination nationally or internationally, rely on professional and skilled movers in Los Angeles from a local moving company arranged by All Around Moving Services Company, Inc.
Just need local moving services in Los Angeles? All Around Moving Services Company can operate on very short notice throughout the LA area. It doesn’t matter if you are moving from one of the many suburban towns in Orange County to the south, from the pastoral inland cities of Pasadena or Flintridge-LaCanada, or from exclusive Malibu to the north and beyond, All Around Moving is your answer for a stress-free moving experience for your local move or long distance move. 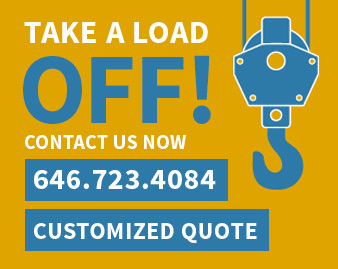 Fill out an estimate form or call us directly at 646.723.4084 for a customized price quote. The experienced movers can handle any moving job in Los Angeles. Movers know that those ultra-modern Hollywood style furnishings need protection from nicks and scratches while being moved from your home, apartment or storage unit. They are also the best at packing or crating with great care the priceless office furniture and files in your Beverly Hills high-rise office, or elsewhere, eliminating any worry or stress. What other factors distinguish our local and long distance moving services? We pride ourselves on eliminating the stress from your move by taking all the necessary precautions and plan a head to avoid any loss. All Around Moving also places no limits on the size of your move -our Los Angeles movers handle relocations both big or small. We are a professional agent for a moving company in Los Angeles to provide with car shipping and piano moving services and are specialists in arranging loading ocean container shipping by handling any international household goods cargo. Wouldn’t you prefer to know you can trust our registered, experienced movers to handle any details, including making sure you have the proper insurance for your move? Make All Around Moving your first choice in Los Angles movers. We currently provide the following counties in the greater LA area with local and long distance moving and international shipping services: Los Angeles County, Orange County, San Bernardino County, Riverside County, San Diego County and Ventura County.